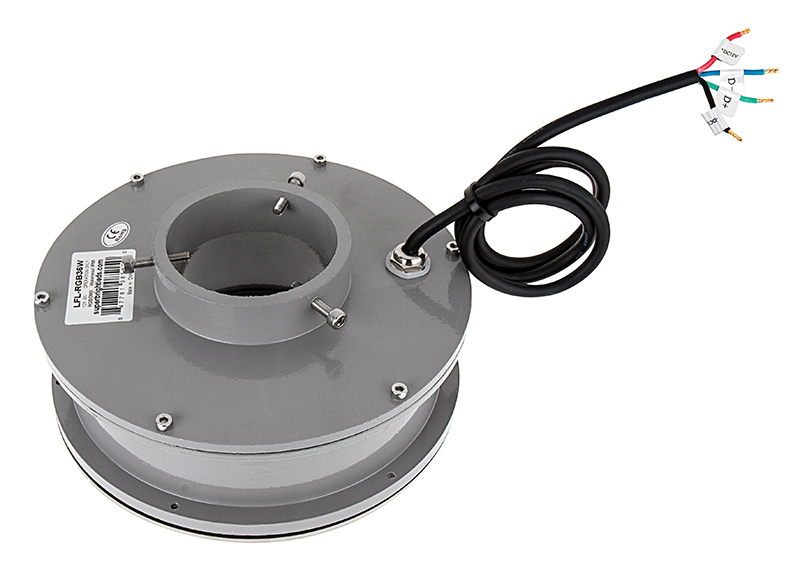 These 36-watt LED pond lights and fountain lights are designed to provide long-lasting underwater illumination. 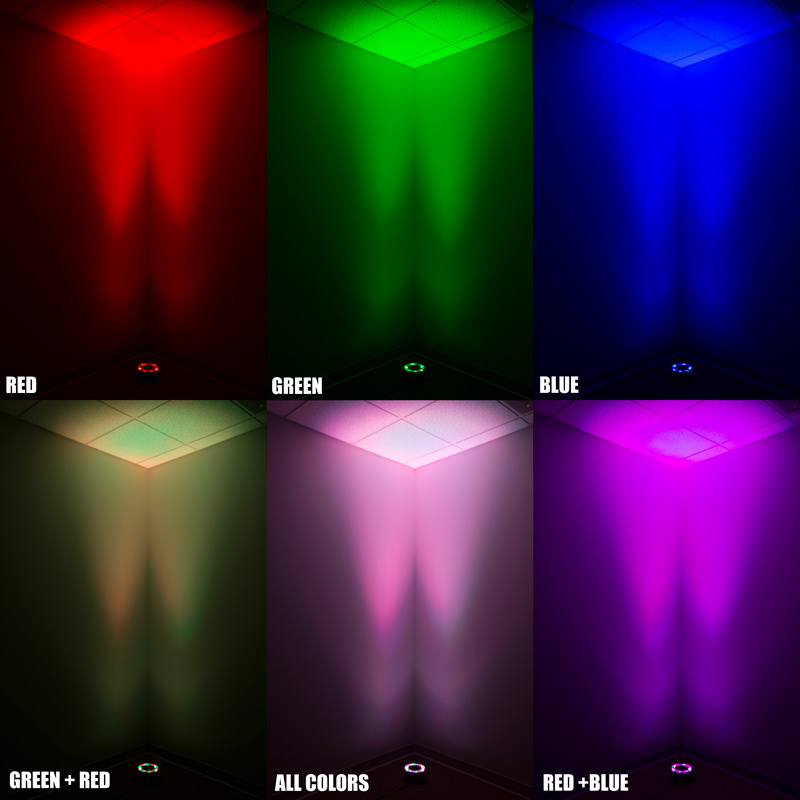 The color-changing RGB fixture is DMX compatible; use an existing DMX controller or use with a Wireless RGBW Touch LED Dimmer Switch. 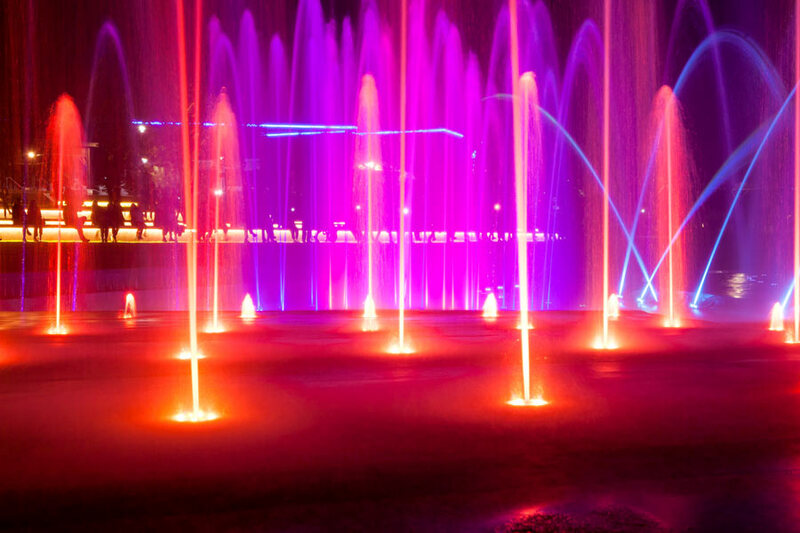 Add up to 32 lights to 1 DMX universe. 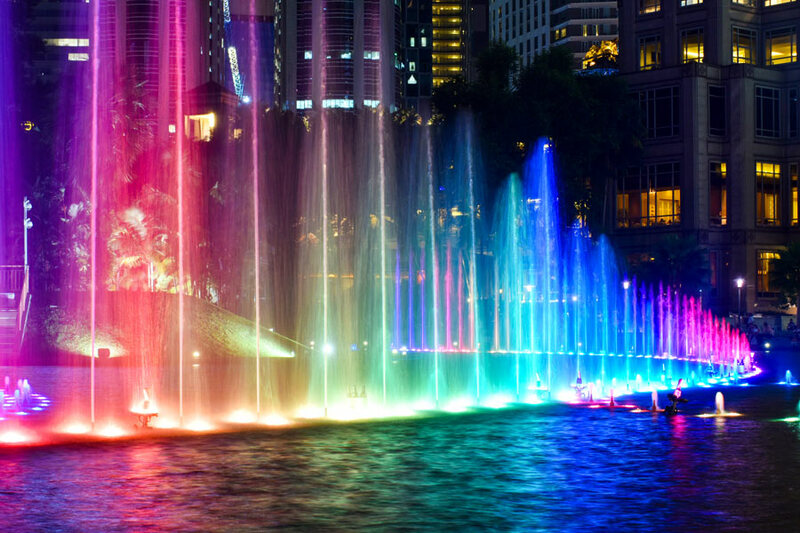 A slow color-changing option is also available when used without a controller. 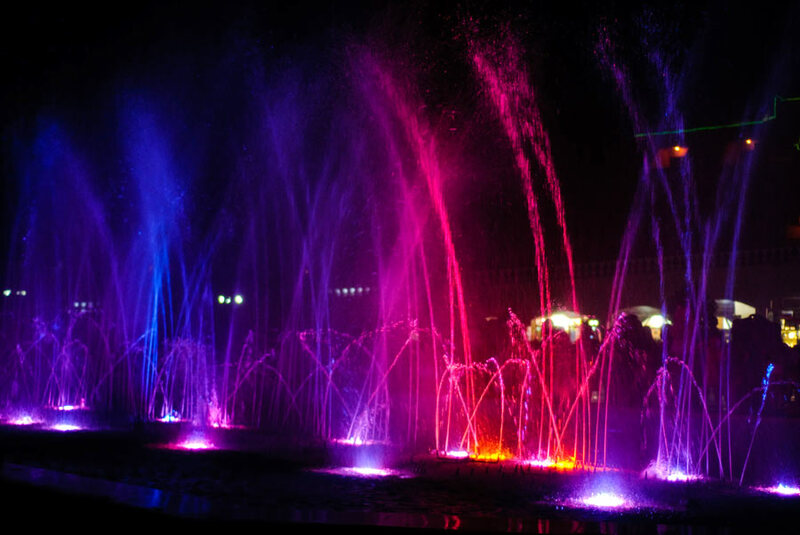 RGB fountain lights have 12 VDC operation. 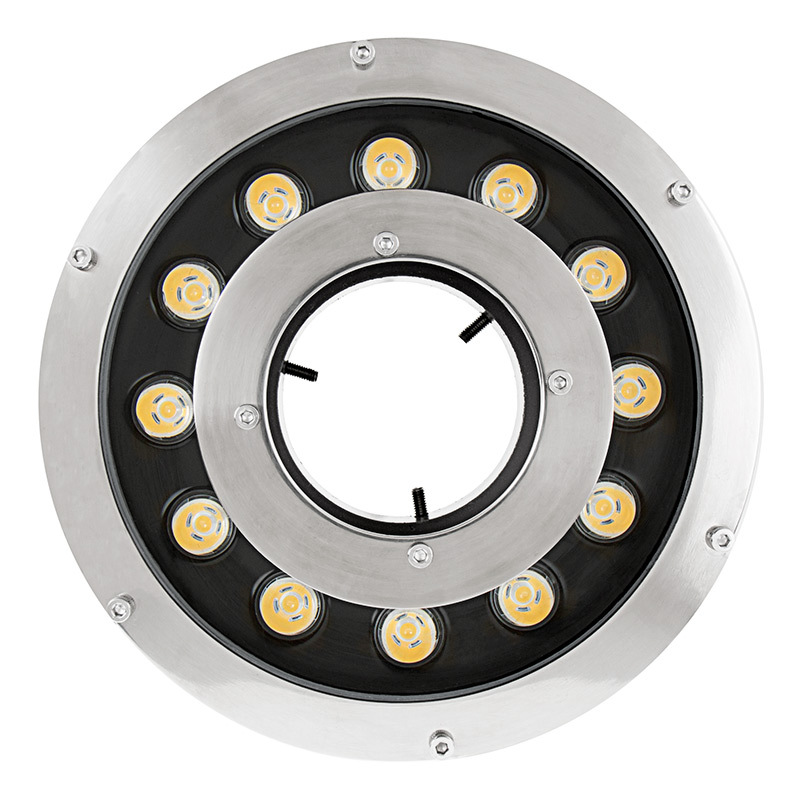 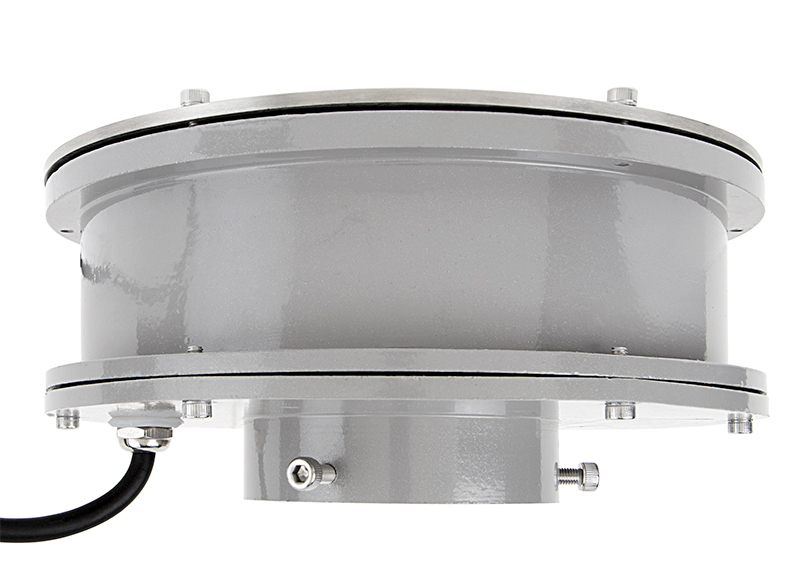 Each waterproof LED light is constructed of gray painted aluminum with a glass lens and stainless steel front bezel. 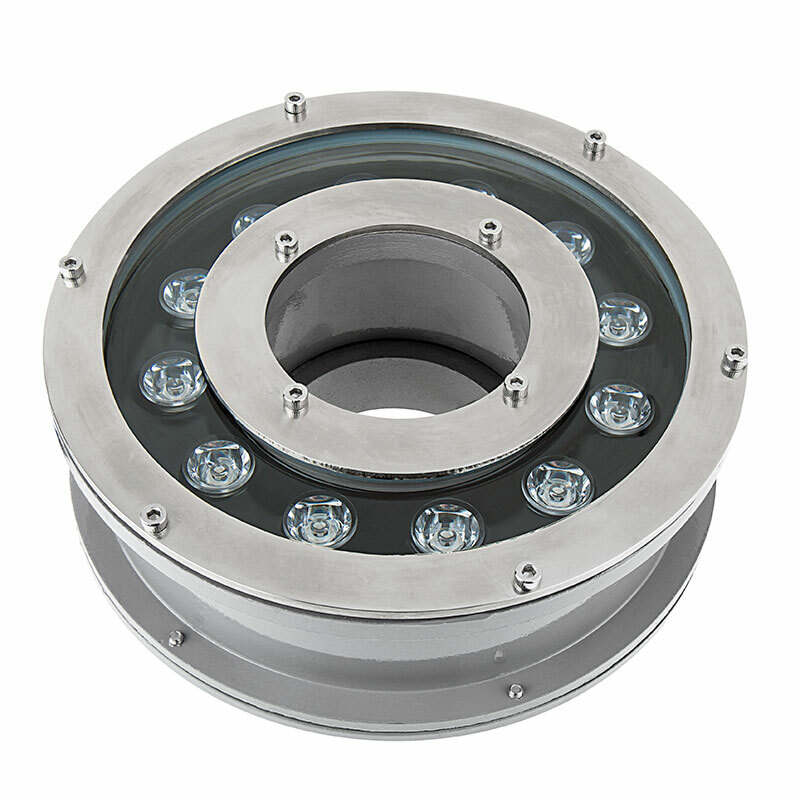 Use this annular LED light with fountain tubing up to 3" in diameter. 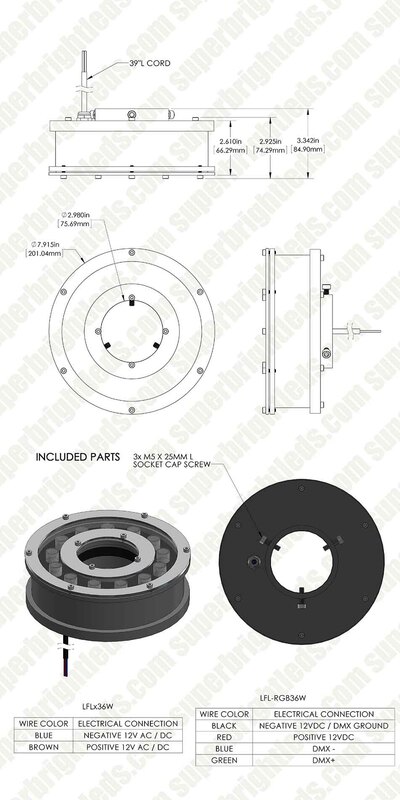 Also available in single color.